More than 40,000 downloads per month. 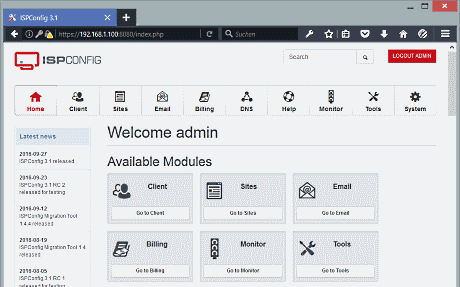 Find out why ISPConfig is the best control panel. Manage one or more servers from one control panel. Single server, Multiserver and Mirrored Clusters. No matter if physical server or virtual machine, ISPConfig just works.